Whether you're a freelance writer or blogger, you've probably had to choose a niche to write about at one time or another--perhaps a niche for your new blog or e-book, or choosing what topics to specialize in for client work. There are millions of niches out there that you can write about or blog about, so it always baffled me that people have a hard time choosing one. I've shared some resources and examples previously about how to choose a niche. 55. Stress relief tips, product reviews, etc. That's just a very small sampling of the available niches you can specialize in or blog about. Use it as a starting point to help you brainstorm other ideas, and remember--niches should neither be so broad that you can't compete or so narrow that there's no audience. Best of luck finding your own happy mediums! The idea of writing something is easy in most people’s minds. The idea of expressing in words what someone wants to read in a way or style they want is the hard part. There are all types of tastes and things people do and do not want to read about. You bring up some very good points and as a long time internet writer in blogs, boards, and other areas I find just being yourself is the best approach. Everyone is different and you may be surprised how just being yourself when doing any writing will attract the best amount of readers to what you are writing. If is something you are passionate about it will come through in your writing. If you are only doing it to make a buck and do not have professional skills then you are more than likely wasting your time. Talent is like anything in life and some people have the talent and some people do not. Write what you know about, do not embellish and just have fun and I think if you look at the topics posted here you can write anything you want. Remember putting the words down is the start. Getting it out there is the next part. Having it all tie together and make sense is the whole reason for doing it to being with. Thanks for the ideas – it gives me more to think about as I am developing my blogs. I’ve also scooted over to check out your eBook ideas. What a great post! Sometimes the hardest thing about writing is just thinking of something to write about. Jillian – I think we all hit the occasional rough spot where we just don’t have any ideas, or where we feel like we’ve already covered everything. While it’s good to stick to a narrow niche if there’s a decent-sized audience there, I think we sometimes forget that there’s nothing wrong with exploring complementary niches in order to grow–I hope this post at the very least serves as a reminder that there’s always something new we can tie to our existing work. The hard part for me isn’t necessarily coming up with something to write about. I have more difficulty finding a topic that I can keep fresh and interesting over the long run. It can be a challenge to find a new twist on a subject that you have written about for a while, and you feel like you’ve already covered the bases fairly well. What a wonderful read this post was. Is it okay if I Stumble this post? This article really caught my attention today because I’m trying hard to narrow down a niche to showcase on my site. But after reading through this, I realize that I actually have several niches that I’ll specialize in. Writing about a celebrity and show sounds good to me but does it works in the long run ? Thank you for posting this blog, I need to work on not procrastinating so much. What are types of niches? Thanks for such valuable information on choosing the perfect Niche for the blog. Somehow it’s clear to me that without a popular niche none of the blogs can get traffic. I have a problem that I can’t decide what I am good in, I feel I am good in many things, I love Singing, I love cricket, I love traveling and much more. I am a professional tourist guide and I am traveling a lot in North India. So my main interest and knowledge area are traveling. So please suggest me how successful I would be if I start a Travel Blog. And what will be difficulties in it to get it with right audience and traffic. Blog Niches is something where I always get confusion and would like to ask the members. Which is more beneficial : Creating niche category in existing website or creating a complete new niche website and running it ? I have my blog which is all about Digital Marketing blog http://www.manojblogszone.com where I do share real time issue with solution. I wants to start writing for digital media analytical tools so which is better to create a category in my site or get a new domain on this and write about it. That depends largely on what the niches are. Generic blogs with no real focus aren’t likely to amount to much because you’re not honing in on a certain reader base and what they need. In other words, you’re throwing a lot of irrelevant content at people at pretty much all times. So leave that for personal blogging; not niche blogging where you’re probably trying to build a significant audience or make money. If the niches, or audiences, are similar then you can combine them. 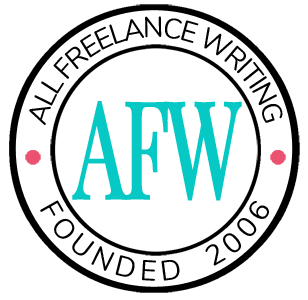 This site used to focus on indie publishing in addition to freelancing for example — both types of writing careers for solo pros, and where there’s a lot of overlap between the reader bases (many freelance writers are also indie publishers). That can work. In your situation, it sounds like they might be similar enough to put them together, but you know more about what you want to cover, so that’s a decision for you to make. Interesting list, but I don’t find my niche in it, am I going on a desert road? I am running an art blog. Mostly I publish my work on it (paintings, video painting, tutorials, art mostly), but I don’t know if my domain is a good niche, if people find it relevant. Do you have any suggestions on what I could write about?